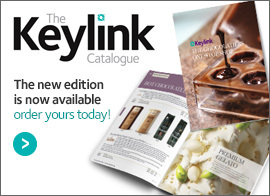 This brand new series of instructional videos - produced by Keylink and available on DVD - is intended for both the novice chocolatier just starting out with chocolate as well as the more experienced chocolatier wishing to expand his or her knowledge of different products and different chocolate making techniques. These videos form a simple and comprehensive guide to chocolate making, broken down into 14 complementary modules running for well over 2 hours. You can use the ‘Module Selector’ below to identify exactly which product and technique videos you should watch to make a particular type of chocolate product. Alternatively, you can simply select a video from the list. Select the video you would like to watch. You will then see a list of the topics covered in that video. The videos are presented by Mick Burke with the assistance of Len Unwin. Trained in the UK, France and Switzerland, Mick is currently senior chef lecturer at Sheffield College responsible for advanced craft and competition work. Awarded the National 2002 Education award by the Craft Guild of Chefs and the Palmes Lacam Diploma by the Association Culinaire Francaise for services to patisserie, he is also an Executive Member of The Master Chefs of Great Britain. Len is a highly qualified lecturer at Sheffield College with extensive experience as a chef and in all aspects of patisserie work. He has also been deeply involved in the field of education and has twice won the Mentor National Junior Chef competition. We hope that you find these videos informative and enjoyable and that they inspire you to create some delicious new additions to your repertoire! Remember that the full set of these videos is available on our “Working with Chocolate” DVD – enjoy full screen images and greater functionality with no interruptions from a slow internet connection!